We present a mathematical model for a torpedo-shaped micro autonomous underwater vehicle (µAUV) designed and developed at Underwater, Control and Robotics Group (UCRG), Universiti Sains Malaysia. µAUV is a small and portable vehicle operated by a single operator. We propose a mathematical model that does not takes account the effect of lifts force subjected by the AUV. Mathematical model used in the control law is derived based on theoretical and empirical methods adapted from similar AUVs while parameters of the AUV taken from 3d model data in SolidWorksTM. This mathematical model used to represent this AUV for fabrication of a working AUV prototype. 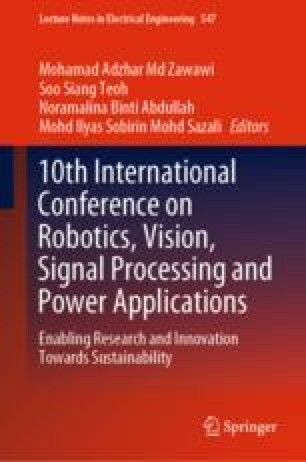 The authors would like to acknowledge FRGS Grant from Universiti Sains Malaysia (USM) (Grant number: FRGS—203/pelect/6071346) for supporting the research.